Dr. Donald F. Ferguson is executive vice president and chief technology officer at CA Technologies. Tasked with promoting technical excellence at CA Technologies and further developing the company’s technical community, Don chairs the company’s Architecture Board and a newly-formed Distinguished Engineer Board. He also serves on the Executive Leadership Team, which supervises the business and technology strategies for the company as a whole. 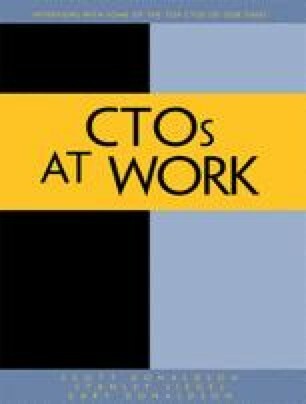 Before assuming the position of CTO, Don was corporate senior vice president and chief architect. In this role, he defined the direction and technical evolution for products. Prior to joining CA Technologies in 2008, Don was a Microsoft Technical Fellow working in the Office of the CTO. He worked on various projects exploring the future of enterprise software, with a special emphasis on Web services and Internet application platforms. Don began his career at IBM, where he worked for twenty years. In 2001 Don became an IBM Fellow, IBM’s highest technical honor. IBM has approximately 50 IBM Fellows in their 150,000 person engineering team.